Summer salads with summer fruit are simply the best, especially on hot days when turning on the stove is not an option. 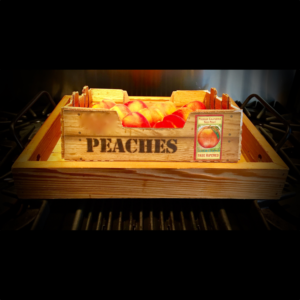 Start with a half fresh peach, sliced thin. Cut up or crumble the aged white cheddar cheese- I love English Coastal aged white cheddar! 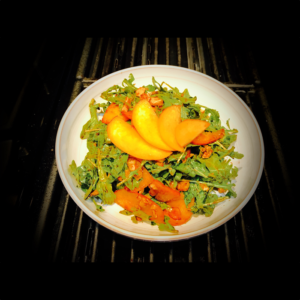 Place the fresh arugula, sliced peaches (save a few slices to top off the salad), cheese and balsamic vinegar in a bowl and toss it up. 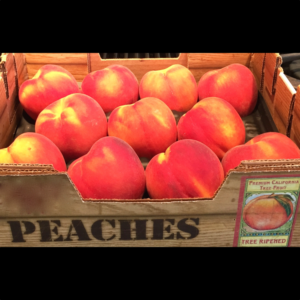 Plate the salad and then place a few slices of peach on top and your salad is ready to serve! Gluten-free, vegetarian, salad, side dish, no-cook recipe.